Enterprises are slowly waking up to chatbots and hence, enterprise chatbots are coming in the big picture. Chatbots are going to be crucial tomorrow for engaging various constituencies, candidates and hires, employees, vendors and consultants. Initial applications in the consumer space from Apple, Microsoft, Amazon and google are going too mainstream. If we compare the popularity of messaging platforms to the internet, it has been a steeper adoption curve. 3 of the top 10 app installs are chatbot applications which are increasing in use. That too, daily and with expectations of 2.5 billion active daily users. This is, on chat, projected to reach soon. Chatbots leverage the familiar conversation interface and piggyback on messenger chat platforms. Thereby circumventing a problem faced by most mobile apps. For example, app uninstalls. Our mobile phones now sacrifice apps to store entertainment media, but we never uninstall crucial chat based applications. On average customers use chat applications 23 minutes a day globally and expected to grow to 50 minutes on average globally. Enterprises are catching on to this opportunity. A chatbot is the most natural way for enterprises to engage with its audience. In return, the audience interacts with the brand. A conversational medium creates an easy pathway. Queries, performing transactions and getting status on service, billing, payments and a whole slew of business transactions is the fastest. Organisations are realising the benefits of employing chatbots to boost productivity, provide better service and create better engagement with employees and customers. Chatbot applications can be primarily classified as Internal or External. 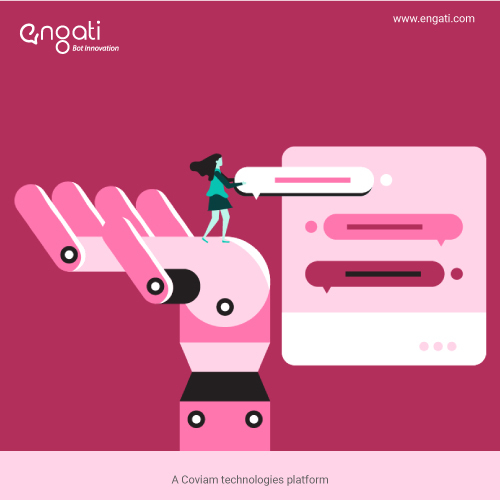 Internal Chatbot apps bring efficiency in human resources, help desk and service desk tickets, policy, compliance documents search and various other use cases specific to employees. Across functions, systems have become relatively real-time. Enterprises have heavily spent on this in the last 2 decades. Moreover, the internet is prevalent and access via smartphones is easy. Now, we must focus on the ease and speed with which a bot can solve the query. Faster transactions throughputs will give more pinpoint queries. As a result, we will be able to move away from clunky and dated web and mobile interfaces that force a path on the user. So, what are the requirements for employing a chatbot in an enterprise? Most enterprise users use sophisticated applications having a rich user interface. Asking them to switch to only text messaging or voice may not find many takers. Using visual elements like menus, buttons, scroll bars mixed with text and voice will be more acceptable. Having a flexible and rich Chatbot UX will be a key criterion in increasing adoption. This will perhaps be one of the major stumbling blocks for the adoption of enterprise chatbots. For instance, the resistance when mobility made its entry into the enterprise. Most chatbot platforms operate in the cloud and will have to access information and interact with entities inside of an enterprise and outside too. Similarly, most enterprises have strict security compliance rules and chatbots will be expected to be in the clear. As an add-on module, you may have to write custom integration software for legacy systems and plug it into the Gateway. Large and global enterprises will process enormous chatbot interactions. In fact, chatbots will be expected to handle thousands of simultaneous users and interactions per second. Additionally, availability will also be a key criteria and the chatbots and the chatbot platforms will have to provide 99.99% uptime or more because they will become business critical entities for an enterprise. Enterprise Chatbots will show the characteristics of a big data platform. In today’s business, a delay of a millisecond can cost a huge amount of money. Especially, if the delay is by chatbots in the fin-tech area. Chatbots have to access internal systems in the enterprises. So, any slowness caused by them will first reflect on their performance. It is acceptable in the early stages of its functionality but might become an issue at the later stage. Therefore, we have figured out the importance and impact of enterprise chatbots. They have enormous potential to bring a lot of ease and support. 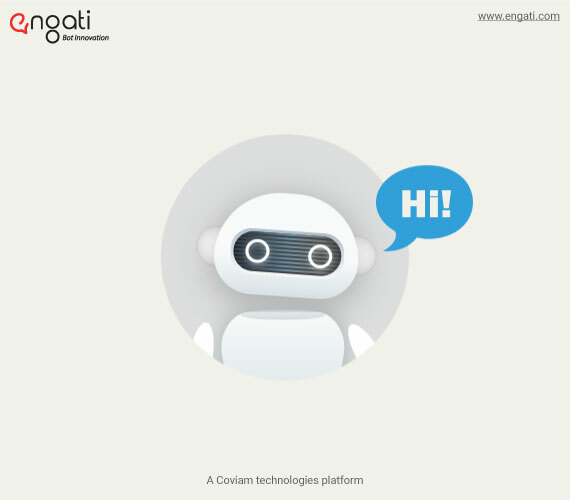 Engati is one such platform where building a chatbot is free as well as hassle-free. You don’t really need any programming to build the bot. Moreover, you can integrate it with 12 different platforms, like Skype, Messenger, Whatsapp, Viber, Kik and others. Another interesting feature is Zapier that lets you integrate all your work apps on one single platform. This is a great experience for the customers. In fact, it is easy to customise this bot platform as per market standards. There is so much to know and discover about the Engati platform. Try it! If you’d like to know more, you can connect with us and we will help you connect with our expert Customer Solutions Engineer. You can connect with us any day, any time. We will try to get back to you at the earliest. Bot essentials 13 : How do we evolve a chatbot for business transactions?